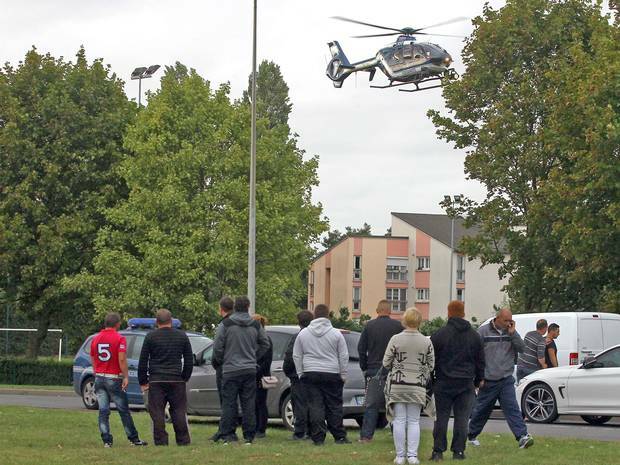 Tuesday afternoon in Roye, France, Four people, including a baby and a police officer, are dead after a shootout at a traveler’s camp. The attacker and another police officer were wounded in the attack, according to the French news outlet Le Monde. The Roma Community are resident in the area where the French National Gendarmerie respond to fireshots. The gunman fired at the officers when they arrived. One was injured and the other died, according to the Associated Press. The alleged shooter, who also was wounded during the incident, was arrested. French police are investigating the details surrounding the shooting and blocked the public from entering the area. The Roma community, also known as the Gypsies, often are targets of vigilante attacks, harassment and discrimination in France, according to The Independent.